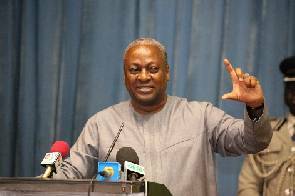 President John Dramani Mahama has stated that the first term of his government focused on infrastructural developments and job creation across the country. 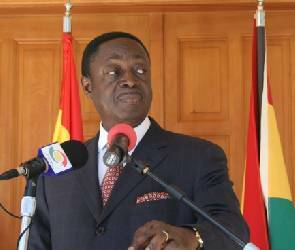 According to him, his second term will focus on "putting money into the pockets of Ghanaians". He said having money without basic infrastructure is economically meaningless adding that it is better to sacrifice for more pressing needs in life. “Times come when we have to squeeze ourselves a bit to do the precious things that we need in life. We cannot have money in our pockets when the roads are not good. "What is the use of money in your pocket when you are sick and you cannot get a hospital to be cured. So sometimes when we are squeezing ourselves it is to do the essential things in life. “It is good politics to say things are hard but the money we are raising, we are using for things that would benefit this country, you cannot have jobs when you don’t have social infrastructure, so we have spent these last four years to bring these social infrastructure back to scratch. “So when I win the second term then we will start putting money in your pockets,” President Mahama said when he commissioned the Fourth Community Day Senior High School at Nyanoa-Kwaobaah in the Upper West Akyem District of the Eastern region on Thursday.